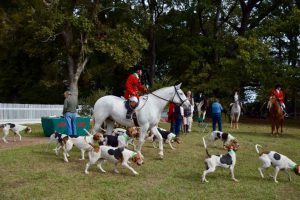 Weston often spends her weekends riding horses and fox hunting throughout Mississippi and Alabama. 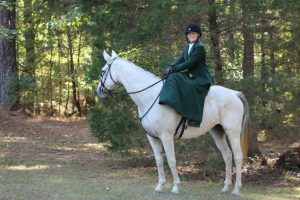 SOE Junior Lake Weston isn’t your typical college student—the Jackson native spends her weekends riding horses and fox hunting throughout Mississippi and Alabama as part of multiple competitive hunting clubs. But come Monday, Weston finds a balance between classes, babysitting and taking care of her horse Jolly (a.k.a. Good Golly Miss. Jolly) full-time. 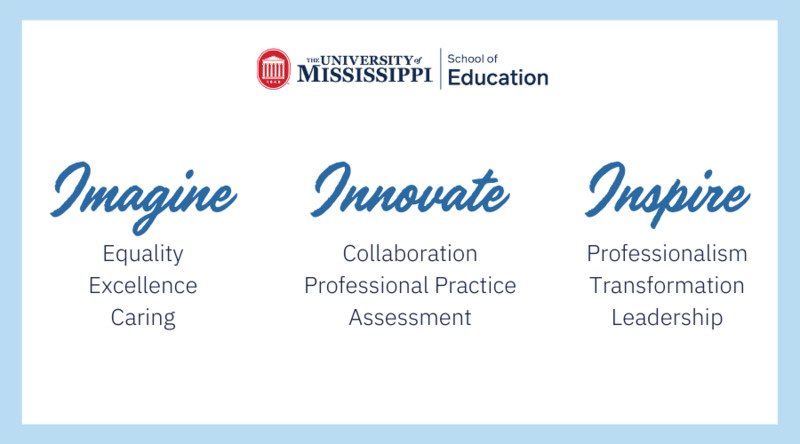 The March student of the month is currently majoring in elementary education and recently sat down with us to talk about her Ole Miss experience. When did you decide to be an educator? I always thought I wanted to be a doctor — I even went to a medical forum in Boston — but then once I started college I realized the medical field was not for me. Right off the bat, I didn’t wanted to be a teacher, but then I started working for the Mother’s Day Out program. Once I became “Miss. Lake” and had a classroom and had my own students, I knew that was what I wanted to do, so I changed my major. I love it so far, and it comes pretty natural for me because I’m always babysitting and around children all the time. I want to teach kindergarten, first grade or even preschool. Hopefully teaching kindergarten or potentially in graduate school, but I haven’t quite thought about where I’d like to move yet. What do you like most about being a student at the SOE? All of the teachers are so nice and so understanding. They really work with us and strive for us to be the best teachers that we can be. It is especially nice to have small classes and all the teachers taking a special interest in each student. The SOE is a community, most of my classes have all of the same students in them, so I’ve really been able to form friendships. Also, I’ve never had a bad teacher. Probably EDRD 355 (Early Literacy Instruction) because that’s when we first went into the classroom. I had Katie Naron and she was awesome. This class was really the first time we got to be in the classroom and observe. I had a first grade class, which I loved. We got to write our first lesson plan and read to the classroom, so that was a great experience. In my free time I’m either babysitting or riding horses. I also have a dog named Bentley that I adopted from the shelter here in Oxford that I love to spend time with. If you ask my friends, my Snapchat story is always my dog, my horse or children. During the season, I travel a lot for fox hunts in Mississippi, Alabama and sometimes Tennessee. What is it like balancing school and riding? I own my horse so I have to go to the barn to feed her and turn her out during the day. It’s hard and I definitely have to make my schedule around feeding her and riding her, and then I also have my dog so I can’t be gone all day. I have to set alarms to remind me of everything. Do you think your love of riding is something that you will share with your future students? Absolutely. The classroom I’m in right now has a cowboy theme, so there’s little boots everywhere which is fun. In the future, I would love to be able to host a riding club for my students, and take them out to the barn to teach them how to groom and about responsibility. Also, riding can be very therapeutic for special needs children; I was able to have that experience with a camp that I worked for. I would love to be able to do something to incorporate my students or teach them about horses.